In a show of appreciation to the public for its continuous support over 25 years, INTI International University (INTI IU) welcomed over a thousand students, alumni and guests to University Day on campus. 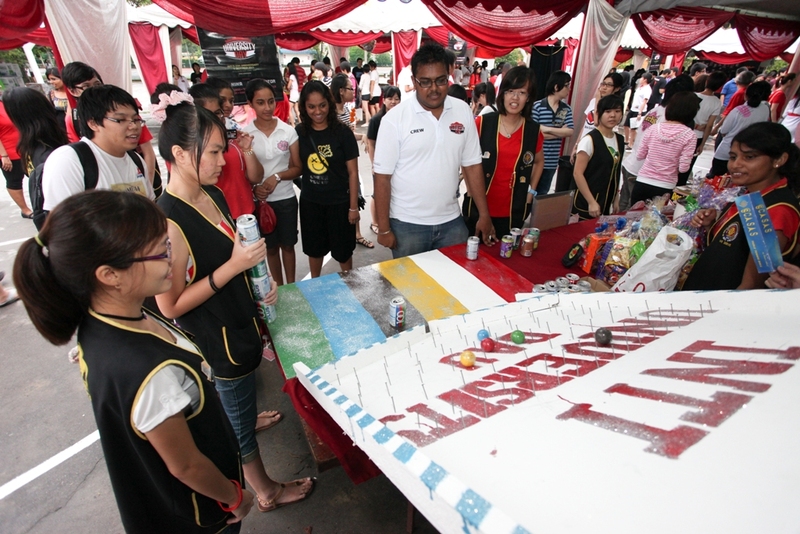 Organised for the first time and run largely by students of INTI IU, University Day celebrated not only INTI’s 25th anniversary as a leading education provider in the country, but also the close ties between INTI IU and the Nilai community. The public was invited to participate in a series of activities that included a food bazaar, sports events, telematch, fireworks display, live performances on stage and a dance party. The audience enraptured by the fireworks display. Among the celebrities present to entertain the crowd were Mizz Mina and DJ Skeletor who filled the air with their high octane music. INTI’s very own alumni turned artistes Desiree Tan and Ling Kah provided additional fuel to ignite the party. Event sponsors CreatiVision D. C., Campus Plus, FP Avante, Golden Plateau, PTL Project Management, Spritzer Berhad and LN Builders received the heartfelt appreciation of INTI’s senior management, represented by Mr. Amit Sevak, CEO of Laureate Malaysia; Mr. Tan Yew Sing, CEO of INTI; and Prof. Dato’ Dr. Ibrahim Ahmad Bajunid, Deputy Vice-Chancellor of INTI IU. 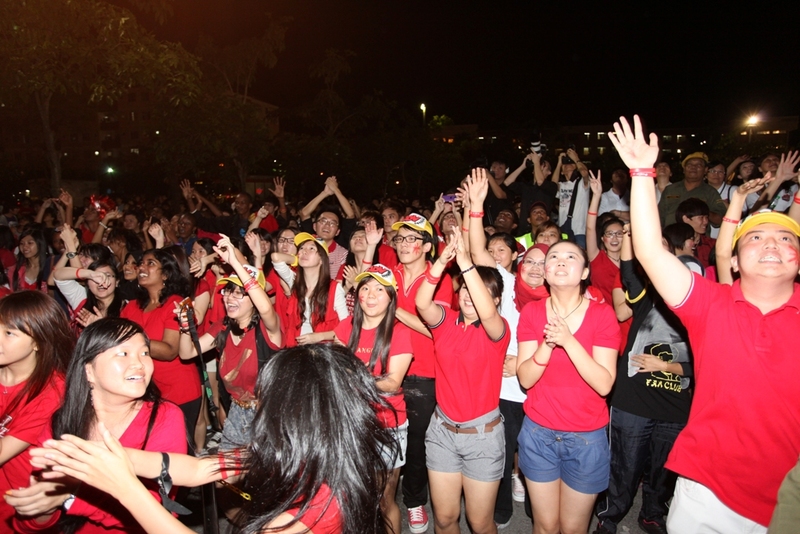 Proceeds from the night’s activities were channeled to underprivileged children in Nilai. 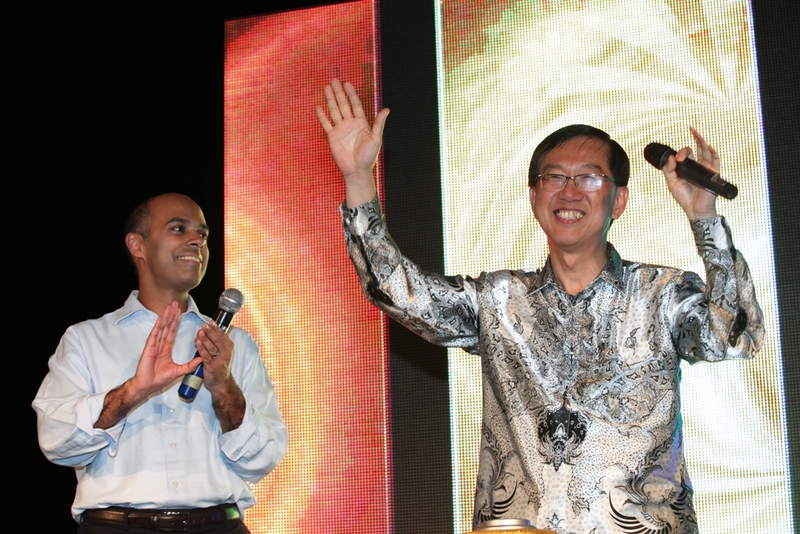 INTI’s co-founder Tan Yew Sing (right) acknowledging the crowd in the presence of Amit Sevak, CEO of Laureate Malaysia. “Since 2010, when our flagship campus here in Nilai obtained full university status from the Higher Education Ministry, INTI IU has been transformed into a formidable world-class provider of higher education in Malaysia and the region. We are building on our strengths to foster not only academic development but also research and development to a higher level at INTI IU,” said Prof. Dato’ Dr. Ibrahim. INTI IU is a leading centre for plasma research which has fusion energy as a potential long-term solution to man’s energy woes. The university also offers well-received niche programmes such as Degree in Quantity Surveying, Masters in Business Information Technology, Degree in Physiotherapy, Degree in Traditional Chinese Medicine and many others. “By working closely with industry to provide real world projects to students, we are redefining what it means to be career-focused and industry ready. Many organisations also readily contribute to students’ learning experience by participating in INTI’s programmes such as the Business Leadership Series where students have the opportunity to hear from and be inspired by community and business leaders. Our Laureate Visiting Fellows programme brings in accomplished academic leaders with global perspectives to help students see the world with broader vision,” added Prof. Dato’ Dr. Ibrahim. Students and staff enjoying the carnival atmosphere together. For more information on INTI, call 06-7982000.